Salman Khan and Katrina Kaif are scorching the screen with their sizzling chemistry in Tiger Zinda Hai. Having pushed the limits on action and stunts for the film, the duo has also shot the romantic song in a larger-than-life fashion. 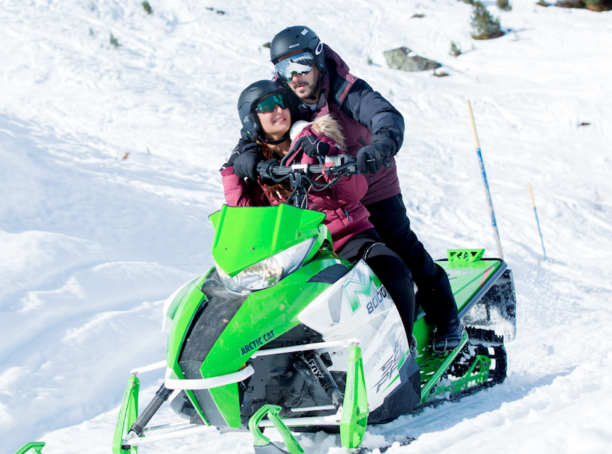 Salman-Katrina shot the visually stunning, romantic track Dil Diyan Gallan on the snowy Alps and that too while riding a snow-mobile. Shot in gorgeous locations in Austria, this song has already become a rage among fans and audiences who have been treated with Salman and Katrina’s beautiful romance. In fact, the song has hit over 16 million views on YouTube alone! Yash Raj Films’ mega action thriller Tiger Zinda Hai releases in cinemas on 22nd December 2017.